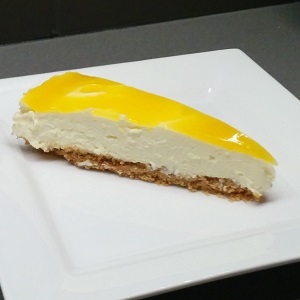 A rich and creamy non-bake lemony cheesecake topped with delicious passion fruit. Quick and easy to prepare. Place the cream cheese, lemon zest, mascarpone cheese and 100g sugar in a bowl and mix using an electric mixer. Return to refrigerator and let sit for at least 4 hours. If time permits allow to sit overnight to allow all flavours to infuse. You already rated for this recipe.